Plus news on projects from George Jones, Ralph Stanley, Jeff Bates and Kenny Rogers. Berg’s new collection covers sensitive issues like domestic violence (“If I Had Wings”), fading beauty (“Silver and Glass”), selling the family farm (“The Dreaming Fields”), and a son sent off to war (“South of Heaven”). Berg scored her first No. 1 at age 18, and has since provided pivotal hits for the Dixie Chicks, Patty Loveless, Trisha Yearwood, Gretchen Wilson, Linda Ronstadt and Dusty Springfield. Her most recent 1997 release Sunday Morning To Saturday Night was critically acclaimed. >>George Jones is back with new material for the first time in more than 5 years. “I Ain’t Ever Slowin Down,” written by Al Anderson and Stephen Bruton; and “I Should Have Called,” by Eddie Raven, are on a new greatest hits compilation. The tracks were produced by Jones’ longtime producer Keith Stegall in 2006. 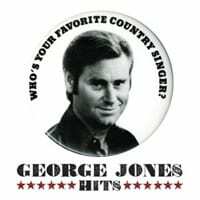 From Bandit Records, George Jones: The Hits will be available exclusively at WalMart starting today (2/15). 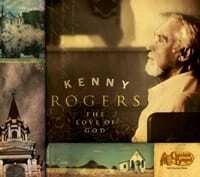 >>Kenny Rogers will become the first artist to release a second album through the Cracker Barrel Old Country Store® exclusive music program when The Love of God becomes available March 7. The CD is an inspirational collection of classic songs, along with new recordings of contemporary songs. Guests include The Whites, Winfield’s Locket, and Point of Grace. >>Black River artist Jeff Bates’ new release hits the streets today (2/14). One Day Closer, his second album for the label, covers the circle of life he has experienced in recent years with the deaths of his parents and the birth of his daughter. 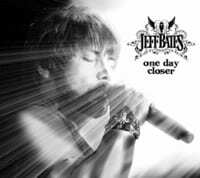 In addition to the six song EP, Bates recorded a live DVD that features all the music from One Day Closer with bonus tracks highlighting previous singles. 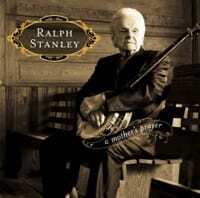 >>Ralph Stanley will release A Mother’s Prayer, a newly recorded collection of hymns and spirituals, April 19 on Rebel Records. Among the project’s contributors are Sara Evans, Billy and Terry Smith, Clinch Mountain Boys’ fiddler Dewey Brown, and grandson Nathan Stanley.